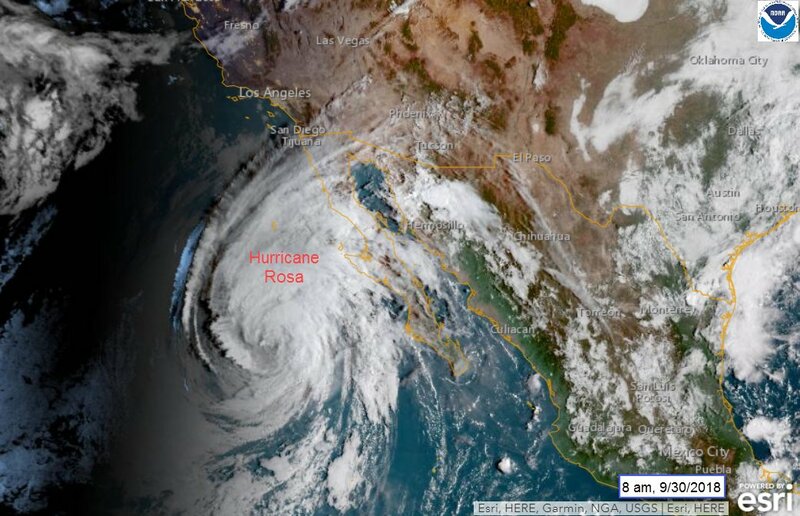 The remnants of Hurricane Rosa were expected to drop rain in the San Diego region beginning Sunday evening, a National Weather Service forecaster said. The storm already brought higher-than-normal surf levels to the coasts Saturday night. The waves were expected to peak Sunday evening through Monday evening, before decreasing into Tuesday, according to the National Weather Service. Waves of three to five feet with sets to seven feet were predicted for San Diego County beaches, the NWS said. Rain was expected to begin rolling into the San Diego area late Sunday. Much of the hurricane’s moisture was dissipating Sunday as it moved into colder waters off the Baja California peninsula, NWS forecaster Ivory Small said. 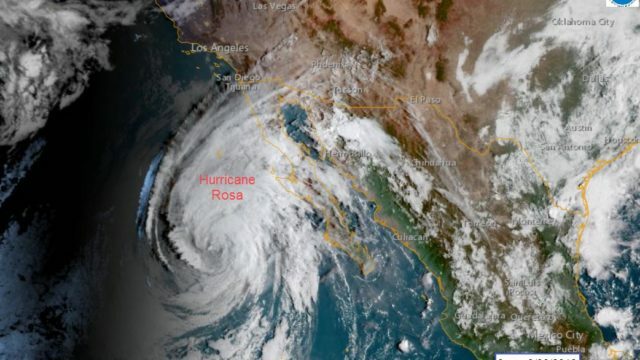 Rosa was a Category 4 storm on Thursday, but had been downgraded to Category 1 by Sunday. Forecasters expected, however, that there will still be enough moisture left for some showers in San Diego County and some heavier rain in the deserts of southeastern California and western Arizona. Small amounts of rain were expected to fall Sunday night, with more expected Monday before decreasing on Tuesday. No more than a tenth of an inch of rain was expected for each day, according to the NWS.